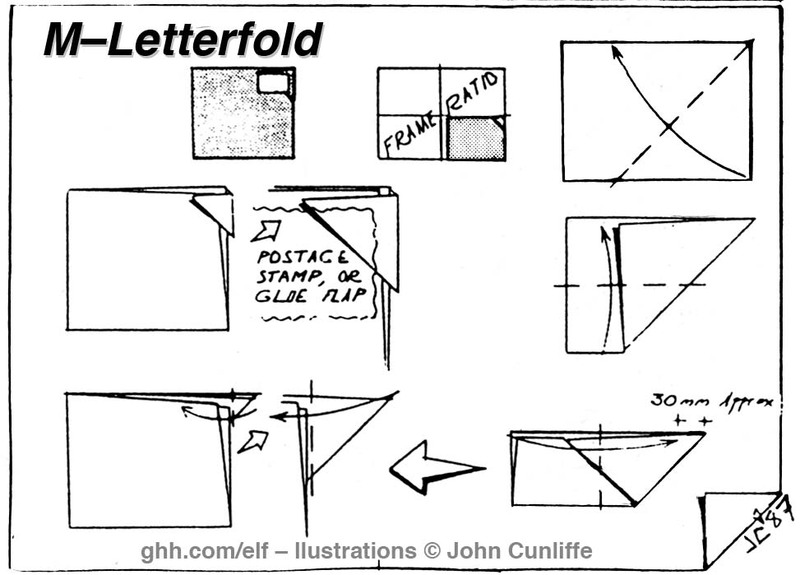 M Letterfold. Loose flap must be glued down to seal. Traditional, possibly French. Postage stamp seals flap. Reference occurs in British Origami Society Magazine 115. Compare variation Michel Grand, ELFA Library.